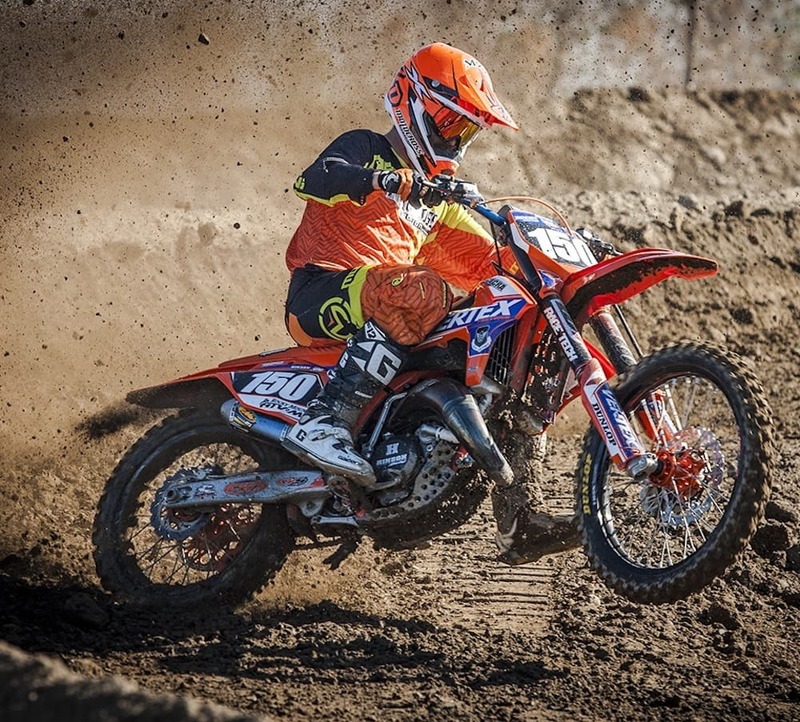 MXA’s 150s two-stroke gives a Vet, Professional Practice Rider and 125 cheaters a chance to blast by the thrumming 250 four-strokes coming out of corners. 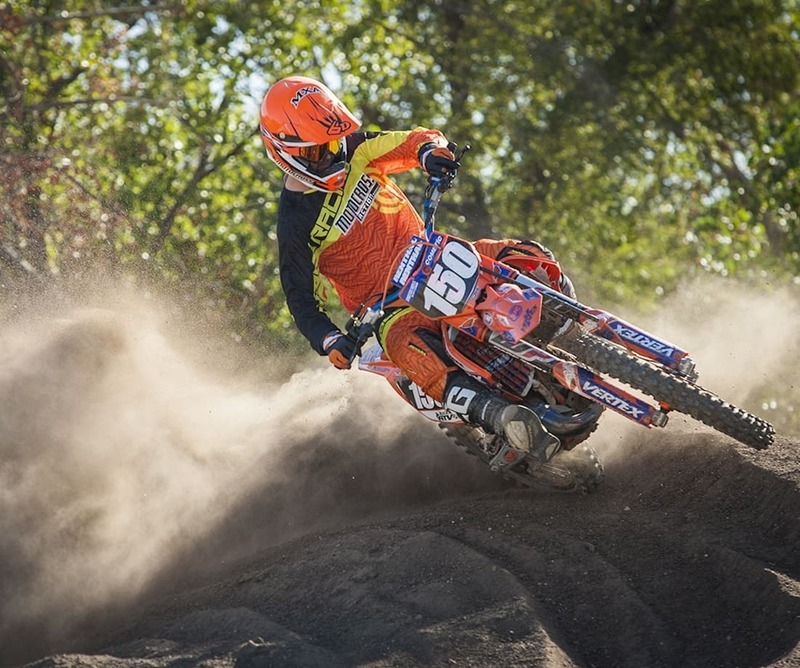 The KTM 150SX does not have much use in today’s racing world. It is too big for the 125 class and too small for the 250 class. It’s an orphaned bike that is typically bought by professional practice riders, Vets looking for a fun bike to race in their age-graded classes or 125-class cheaters. Technically, the 150 two-stroke is best positioned in the 250 class against the “Big Six’s” 250 four-strokes. 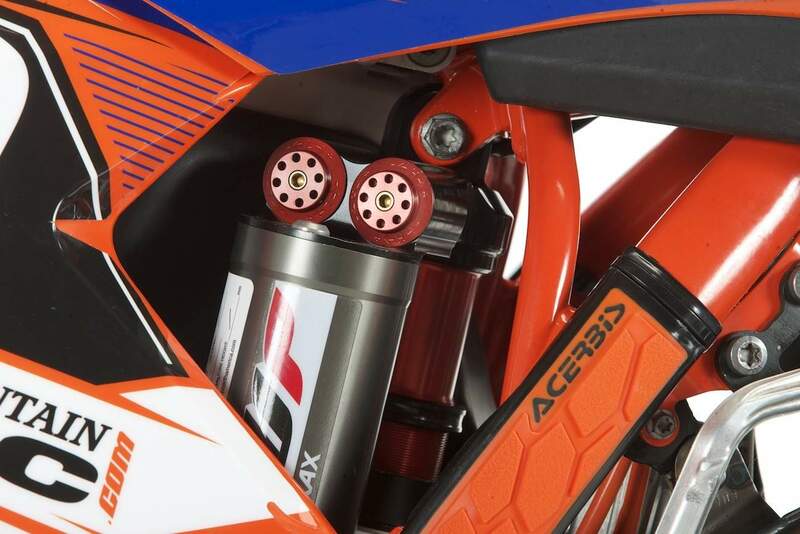 A KTM 150SX can pump out 40.6 horsepower, which is more horsepower than over half of the 250cc four-strokes it would have to face in the 250 class. But, the big numbers that the 150SX puts out are misleading. It’s not really a match for a 250 four-stroke powerplant. Although the horsepower numbers of the smoker are in range of the bottom feeders of the 250F class, it’s missing the torque and broad powerband of the 250 thumpers. The 150 hits hard, makes big numbers and demands that the rider slam in another gear, while the 250 four-stroke rider can just keeping chugging along with the 250’s ultimately usable powerband. Under AMA Pro rules, the 150SX is not really legal in the 250 class, which has a limit of 125cc; however, in the real world, no local promoter is going to get picky if a racer wants to try his hand on a 150 against 250 thumpers. So, even though it’s against the rules, we decided to build a KTM 150SX that could beat 250s. We call it a 250 four-stroke fighter. In typical MXA fashion we had money to burn on the project, knowing that whether we were successful or not, there would be a line of professional practice riders lining up to throw a leg over it. THE SIMPLE ACT OF CHOOSING TO START WITH A 2016 KTM 150SX INSTEAD OF A 2017 KTM 150SX MEANT THAT GETTING THE FORKS TO WORK WAS GOING TO BE JOB ONE. WP Cone Valve forks aren’t just for KTMs. We run hem on our 2017 Honda CRF450. On any brand, they are almost perfection. Every project has to start somewhere, and step one was to procure a KTM 150SX. We began with a 2016 model, just because it was available. The simple act of choosing to start with a 2016 KTM 150SX instead of a 2017 KTM 150SX meant that getting the forks to work was going to be job one. The WP 4CS forks had to go, but what were we going to replace them with? Our first thought was to go into the MXA workshop and put a set of 2017 WP AER air forks on our little jewel. Compared to the new WP AER air forks, the 4CS forks are, well, barbaric. But, we rejected the idea of going with AER air forks. It was too easy and would basically turn our 2016 KTM 150SX into a 2017 KTM 150SX. Nothing special about that! We wanted something better, tricker, cooler and more exotic. 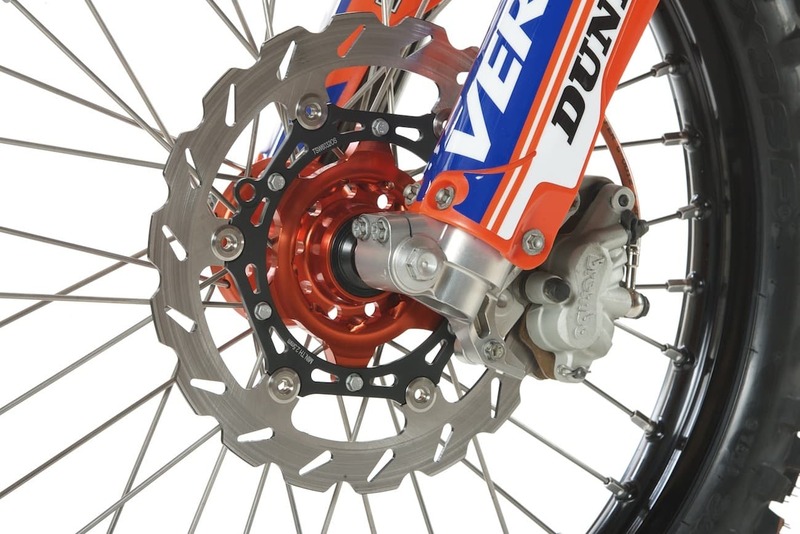 WP makes special sets of coil-spring-equipped A-Kit-style forks that its race teams use. These Cone Valve forks come in super-exotic 52mm units or more readily available 48mm versions (that fit in the stock triple clamps). We went with the 48mm Cone Valve forks, but don’t think for a second that we cheaped out. We didn’t. The price tag on the WP Cone Valve forks was $3500 out the door. These forks are highly prized by KTM owners and are as close to factory as the average man can get—or afford. We also added the special drop-out-equipped $2000 WP Trax shock with separate compression adjusters on the piggyback. Don’t be suckered into believing that you can just order a set of Cone Valve forks and a Trax shock and live happily ever after. Forks and shocks, no matter how expensive, are just pieces of cold metal. Someone has to valve them for you. We went through Race Tech to get the fork and shocks valved. Race Tech is an authorized WP dealer, and we were able to get all the parts and service we needed in one place. The total cost of the WP components was $5500. Job one was done. 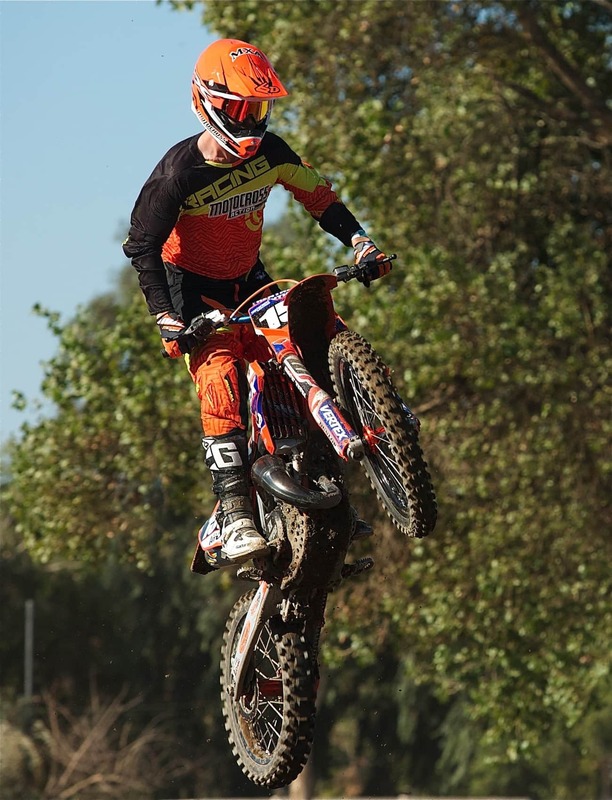 We pumped up a KTM 150SX to compete with the 250Fs, not run like the 250Fs. This hard-hitting, turbulent powerband gets the job done, although it is best in the hands of a skilled two-stroke rider. If you haven’t ridden a two-stroke since the old CR125 days, you are in for a rude awakening. Modern two-strokes are beasts. 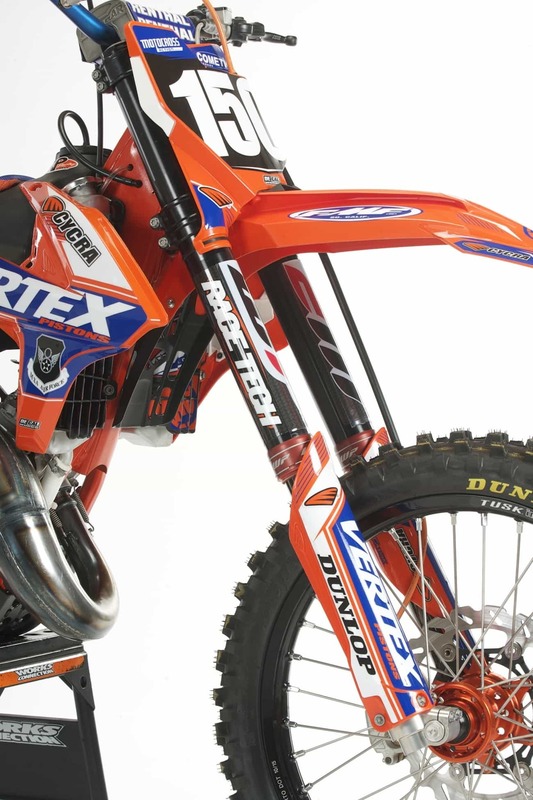 The KTM 150SX engine is turbulent. At the crack of the throttle, it seems like it is sluggish. To goose it a bit, you have to give the clutch a little tug, but from there on, hang on as the afterburners kick in. And afterburners is the correct metaphor, because afterburners burn bright with tremendous thrust but burn out quickly. Before you know it, that gear is toast and you have to jam into another cog and start all over again. 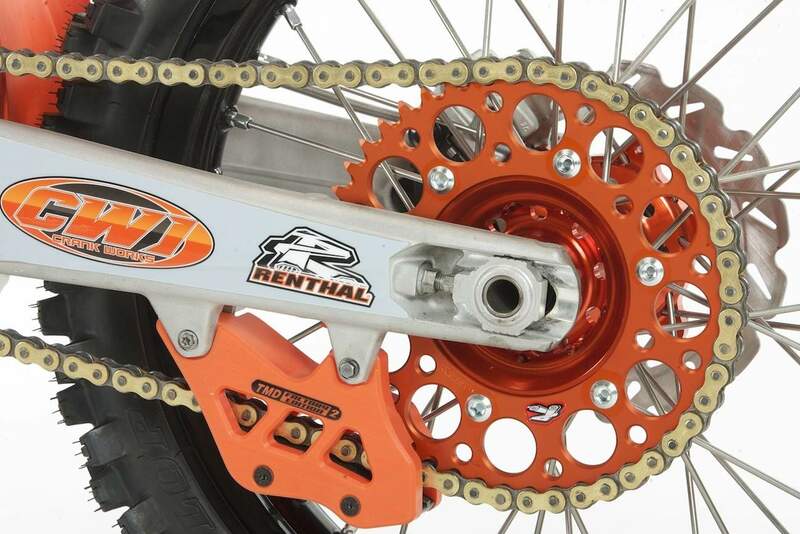 The Renthal rear sprocket, Tusk wheels and TM Designworks chain guide. If you don’t shift before hitting 11,600 rpm, the horsepower numbers take a leap off the bridge. You can’t rev the 150SX engine past peak or it dies on the vine. A successful 150SX racer has to have a quick left foot and a steady right hand to stay locked into the short but mighty powerband. Do it right and you are flying with a grin from ear to ear. WE ARE SO USED TO THE STAGGERING INVOICES THAT COME FROM HOPPING UP FOUR-STROKES THAT A TWO-STROKE BILL WAS A BREATH OF FRESH AIR. For a full build on our KTM 150SX engine, it cost a mere $2000, including the FMF pipe and silencer. This is a fraction of the cost compared to building up a four-stroke engine. Plus, the maintenance costs are much cheaper. After spending considerable time on a stock 150SX we knew that to shoot down 250 four-strokes we would need a lot more horsepower, and we understood that we could end up with a powerband we wouldn’t be able to tame. Nevertheless, our goal was to make it faster, come hell or high water. We sent the head and cylinder off to Lynks Racing, which specializes in small-bore KTM two-stroke engines. Its full-race spec on these parts was a mere $380. We are so used to the staggering invoices that come from hopping up four-strokes that a two-stroke bill was a breath of fresh air. Going back 15 years when two-strokes were the bee’s knees, $380 would have broken the bank. Now, racers are taking on second mortgages to keep four-strokes alive. With money left over in the engine budget, we went whole hog and sent the crank to Crank Works to get balanced. We got a Vertex Pro Replica piston kit, bulletproof Hinson components and topped if off with an FMF pipe and silencer, which we’ve had great luck with on our stock 2017 KTM 150SX. Our total engine bill came to $2000. When we first hit the track, the bike was running rough around the edges. We are getting used to this song and dance. Our Mikuni-equipped 2017 150SX had jetting issues, so we weren’t surprised that the Keihin on our 2016 was finicky too. It had a hiccup when we got on the gas coming out of corners. It was a lag that made the engine feel weak; however, once the engine jumped up on the pipe, we could feel the potential it had. We decided that the jetting was in the ballpark but that our setup was lacking somewhere. We found that the air screw was on the lean side, and a quick turn of the adjuster ironed out the difficulties. The air-screw change sharpened up the transition off the bottom and made the 150SX engine feel entirely different. It had a quicker response and lit the world on fire (for a short time). The increase in power made the overall powerband feel shorter than in stock trim. It was a handful—extremely powerful but hard to keep in the meat of the powerband. Luckily, we have some experience with short KTM powerbands and started fine-tuning the power-valve adjuster. We went in a full turn and, as with the air-screw change, this brought the entire powerband around to our liking. The power-valve adjustment broadened the powerband, making the 150SX much easier to ride. The power ramped up slower, hit harder in the midrange and had a good pull to the top (albeit without much over-rev). It didn’t fall on its face like it did in stock trim, and we knew that small turns of the power-valve adjuster could give or take away bottom and midrange power in a heartbeat. Most motocross racers have spent years trying to come to terms with the unique feel of air forks. It is an adaptation that the WP Cone Valve forks were ready to reverse. We have gotten accustomed to the ramp-up effect on SFF-TAC, PSF-2 and AER forks, and were shocked how much feedback the coil-spring forks delivered. They were more sensitive to the undulating ground. Test riders claimed that they could feel everything that was going on beneath them—and not in a bad way. It was a strange sensation at first, but after a few laps our confidence in the suspension skyrocketed. The overall feeling made us more in tune with the bike. It enabled us to react to things much faster. The forks were a bit stiff at first, but with a few clicks out of the compression, we got in the good range. As a bonus, Cone Valve forks are tunable for everyone from Pros to Novices without the need for a re-valve, as clicker settings cover all manner of sins. WE HAVE GOTTEN ACCUSTOMED TO THE RAMP-UP EFFECT ON SFF-TAC, PSF-2 AND AER FORKS, AND WERE SHOCKED HOW MUCH FEEDBACK THE COIL-SPRING FORKS DELIVERED. The Trax shock was impressive. It stuck to the ground like glue. Our trust in the shock rose with each lap. It never reacted out of sync with the terrain. If small mistakes were made, such as hitting a kicker wrong or punching a square-edge bump at an angle, the shock was almost intuitive in handling the situation. Bottom line: mistakes were minimized, or at least the shock picked up the slack. As the laps piled up, we had more than enough time to analyze whether we had built a 250 four-stroke fighter or just another play-rider beauty queen. 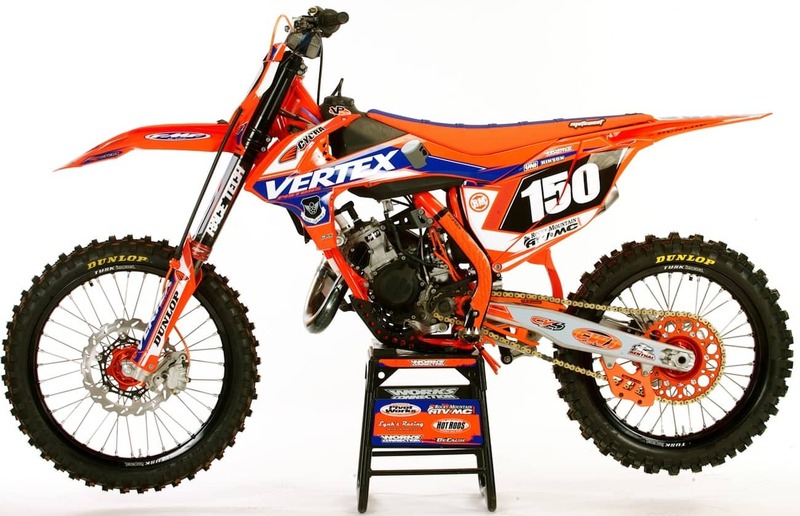 First and foremost, whenever we had a talented rider in the saddle of our KTM 150SX, we could mow down 250 four-strokes by diving under them in tight corners, breaking out of berms early or simply using the two-stroke’s instant power to get a wheel in front of them. But, that skill set comes from years of saddle time on a two-stroke. Most of the inexperienced riders whom we put on the 150SX (and we don’t mean inexperienced as racers but inexperienced as two-stroke riders) couldn’t pull the trigger on the 250 four-strokes they came up on. They could get side by side, but then the thumper would churn away when they flubbed the shift. We knew then that two-stroke skills, once as common as red M&Ms, were in short supply in this modern generation of riders. There was parity on many parts of the track, as the broad range of power of the four-stroke was offset by the agile handling of the two-stroke. Both were competitive, but in different ways. Our 150SX’s engine was a handful. It had an intense, short powerband that blew the doors off the 250Fs, but the burst was short-lived. This is where the thumpers would keep pulling and not give up any on the top end. When it comes to handling, there is no comparison; the 150SX goes where you want it to, when you want it to. The light chassis makes the bike easy to handle for just about anyone. And, the addition of the WP A-Kit components made the ride that much better. MXA’s project KTM 125SX was built for a hard-core two-stroke racer. A guy like Gared Steinke, who raced the 2016 AMA 250 Nationals on a Husky TC125, would do serious damage on our KTM 150SX. As for everyone else—not so much. So, as we close the chapter on building a KTM 150SX 250 fighter, we still see the KTM 150SX as the perfect bike for a professional practice rider, Vet rider who likes to mess with people and also those who have cut their teeth on smokers. For these riders, this wild child is right up their alley.